Here’s the deal: I’ve been trying to turn my sights away from sugar, and I mean any type of sugar. I’ve been doing relatively well with my pseudo-healthy lifestyle choice until one night, after leaving my hometown to get to our new (sort of) hometown, my husband and I — tired and extremely hungry — finally decided to stop by Tengoku Ramen House in Cuenca, Batangas. We’ve passed by the place several times before but never thought to actually stop by because there isn’t much space for parking, and in the daytime, it’s almost always packed with cars. (That can only be a good sign, right? Unless they’re all just jerks who parked there for no reason.) But one night, we finally gave it a shot, and it was definitely worth it. The place is Japanese-inspired, of course. (I wasn’t able to take photos, though.) It was also thankfully well-lit and well-ventilated. The menu was a bit overwhelming because they offer a lot of things. I’ve always been a believer that you can’t possibly be good at a lot of things all at the same time. So I was skeptical about how things would fare. Since it’s a ramen house, we naturally had to order ramen. We wanted beef, but the server said they didn’t have stock so we opted for spicy seafood instead. It’s one of their bestsellers, the server shared. We also ordered pork katsudon from the student meal menu, which you can totally order from even though you’re not a student. The ramen was good but not my favorite. 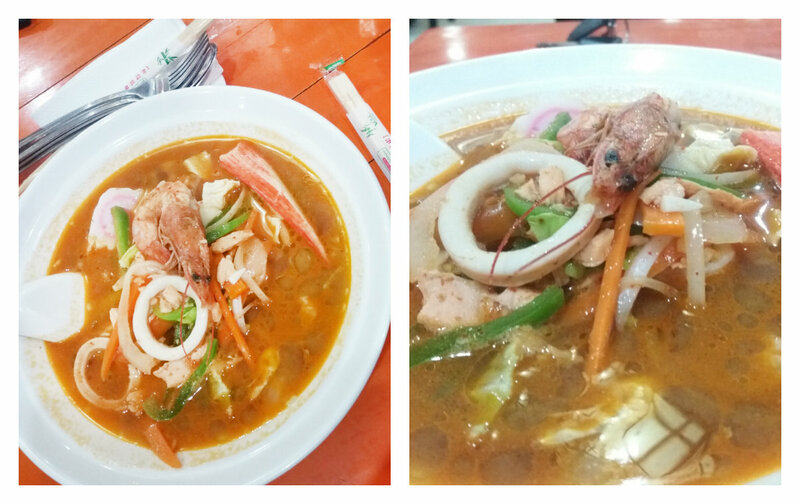 And the reason is I’m generally not a fan of seafood ramen. I’ve never understood why some ramen are sold for PHP500 a bowl (although I have fallen into their trap once or twice. I can’t say I wasn’t pleased with what I experienced with them, but for PHP180+, I’d say the ramen from Tengoku can compete with the ones sold for higher prices in Japanese fastfood chains.) I’m also happy to report that the ramen was well-seasoned and spiced just right. 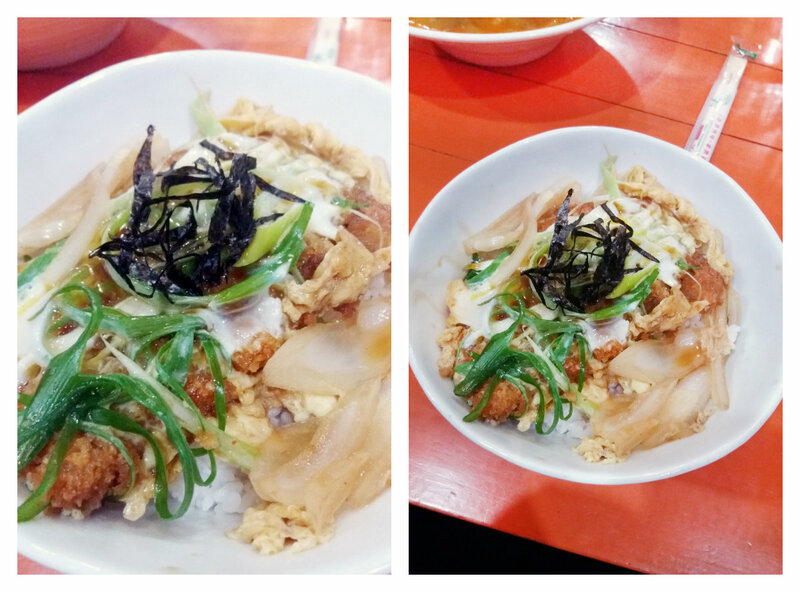 The katsudon, however, was surprisingly good for only PHP99 with a glass of iced tea. It wasn’t overly sweet. The seasoning was just right. The rice was good as well. 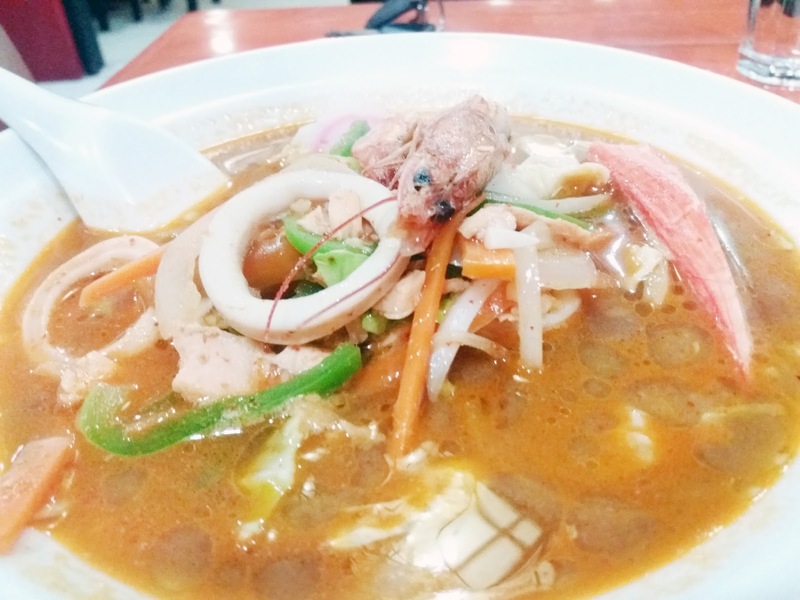 Overall, our first experience at Tengoku Ramen House was good. And we’ll definitely be back to try their other offerings sometime soon.